Rich Guy had arrived first and already waiting us at the table was a complimentary appetizer of sorts. 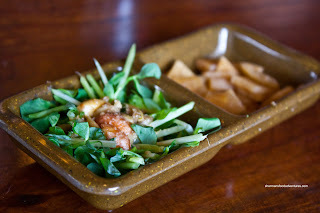 On one side, there was pickled radish and the other there was what we thought was watercress with a peanut dressing. Between that and or dering, there was a significant delay since there was only one server working the floor. When we finally did get our order in, the food took a little while to arrive. 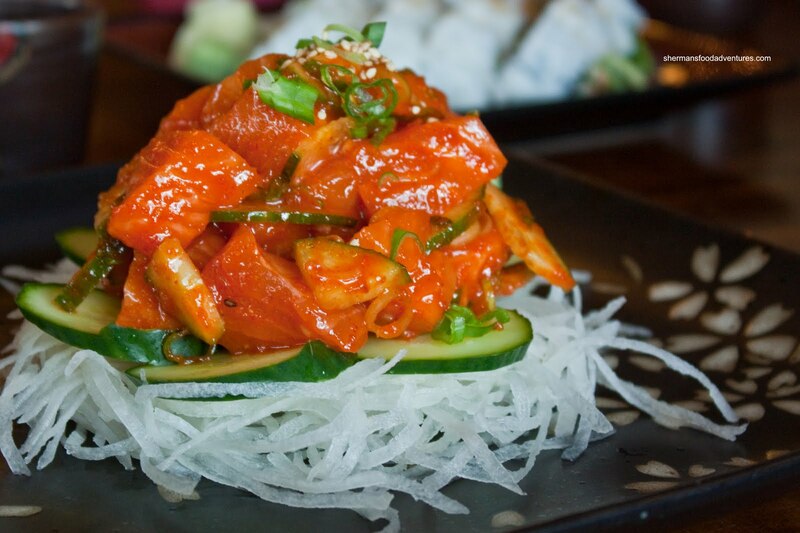 We started with the Spicy Salmon Sashimi. It looked alright; but we found it underwhelming. I actually think the one at Sushi Town is better. And that is quite the statement since Sushi Town is not exactly the pinnacle of Japanese cuisine. The salmon was acceptable while the dressing was a little on the bland side. We were pleasantly surprised at the size of our Assort ed Tempura. From the large ebi to the big pieces of veggies, this was a mound of food. 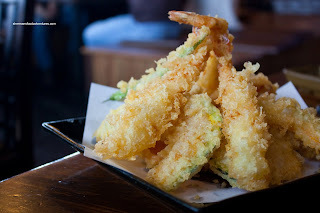 However, the tempura batter was quite aggressively employed; thus it got a bit chewy in the end. Now you've probably heard of hit and miss dishes; but how about hit and miss in the same dish? 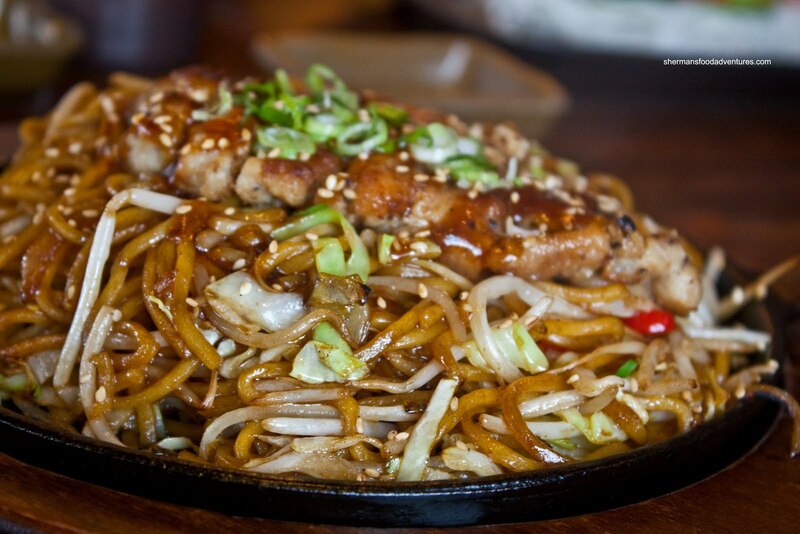 That would be the case with the Chicken Yakisoba. The noodles had a nice chewy texture while being sauced with the right amount of flavour. The chicken was plentiful and cooked properly. Yet, the whole thing was greasier than a oil disposal unit at the back of a Chinese restaurant. The oil collecting on the cast iron plate would make a pan-pizza at Pizza Hut jealous. What were they doing back there? I heard of stir-fried noodles; but this was like oil-soaked noodles. We ended up getting a few rolls consisting of the Scallop & Tobiko and Unagi. The rice was a tad gummy and lacking flavour; but was acceptable. I found the scallop to be quite good with large pieces and being sweet. Not a bad roll. Now as for the Unagi, that was another story. As Rich Guy remarked: "there was not enough unagi". Yes, there was a unbalanced unagi-to-rice ratio. Hence, the r oll didn't really taste like anything. 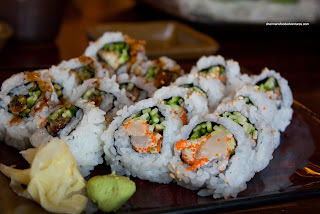 Lastly, we decided to try out one of their specialty rolls. We found them to be rather expensive, with nothing under $10.00. 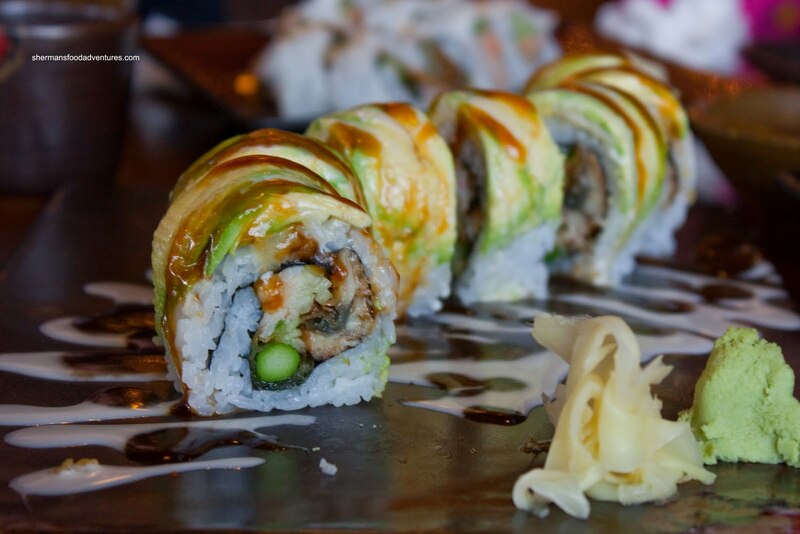 We ended up with the Caterpillar Roll which is pretty standard in the "specialty" roll category. This particular version consisted of unagi, cucumber, imitation crab meat and asparagus tempura on the inside with avocado on the outside. The entire thing was decorated with a two-tone sauce. Aesthetically-speaking, the presentation was nice as well as the construction of the roll itself. Texturally, the dense rice made each piece substantial to eat. Not necessarily a bad thing if one was hungry I suppose. A pretty solid roll; but not particularly a good value considering the price. In fact, the prices as a whole are on the higher side. They are not out-of-line considering the nearby competition such as Nagano and Sango. Furthermore, there is Sushi Turnhouse nearby which is substantially less expensive, albeit poorer quality. 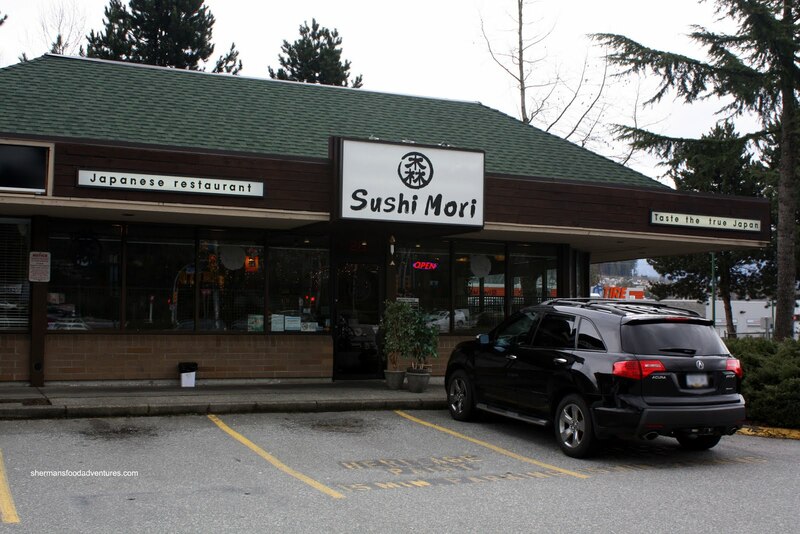 With everything taken into consideration, I wouldn't necessarily choose Sushi Mori over them. Try Osamu. I think I have posted this before, I think you will be pleased. While never a competitor for 'cheapest sushi in Coquitlam', there is good value. 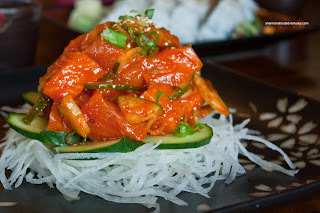 I recommend their oyster motoyaki, their ahi poki salad, and their sushi/sashimi. Good stuff. Of course I posted my comment after *completely* missing that Osamu was closed. I read bad. But I eat good. @Doug LOL... No worries. I've been trying to go to Osamu for awhile now. They are closed everytime! Thus I have to go to backup restaurants!